Dr. Thal has been practicing orthopaedics since 1990. He is Board Certified by the American Academy of Orthopaedic Surgeons and has earned the distinguished Subspecialty Certification in Orthopaedic Sports Medicine (CAQSM). Originally from Commack, New York, Dr. Thal earned his medical degree from Loyola University of Chicago Stritch School of Medicine in 1984. For the next five years, as part of his internship and residency, he continued advanced training in orthopaedic surgery. Given his athletic interests, including playing collegiate baseball, he had a particular interest in pursuing a career in sports medicine. Following his orthopaedic training, he completed a year-long fellowship training program, subspecializing in sports medicine and arthroscopy at the Orthopaedic Research of Virginia in Richmond. Dr. Thal is an internationally recognized specialist in sports medicine and arthroscopic surgery. He has been an orthopaedic consultant for numerous professional, collegiate, and scholastic teams, including serving as the Head Team physician for the Washington Redskins from 2000 until 2008. Hall of Fame Coach Joe Gibbs, of the Washington Redskins, spoke of Dr. Thal in a press conference in April 2005. Coach Gibbs said, “I can honestly say there isn’t a medical team out there that’s as capable as we have in talking about Ray Thal, Tony Casolaro and Jim Andrews. Those are some of the top people in sports medicine.” Dr. Thal has also been head team physician for the Washington Glory women’s professional softball team and Oakton High School. He has served as the medical director for the Virginia Special Olympics Winter Championships from 2003 to 2011 and was the medical director for the Senior PGA tournament in 2017. 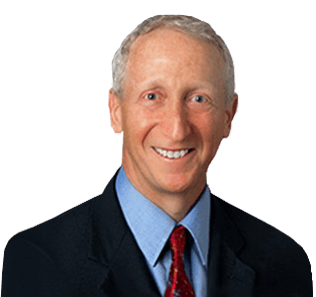 Dr. Thal has made significant contributions to sports medicine and arthroscopic surgery. 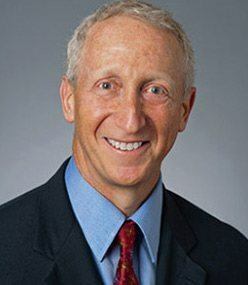 In fact, he has been awarded more than 17 United States patents and 30 international patents for devices and instruments he has invented for arthroscopic procedures through his research efforts. This has led to invitations from the international medical community to demonstrate and discuss these innovations. Dr. Thal has been a guest speaker and surgeon throughout the United States, Europe, Asia, and Australia. Dr. Thal has vast experience and is a leader in the field of arthroscopic surgery of the shoulder, knee, and elbow. His expertise includes arthroscopic knee ligament reconstructions, shoulder stabilizations, rotator cuff repair, and shoulder and elbow disorders in the throwing athlete. He has authored numerous scientific articles and chapters and has conducted research on various sports medicine topics. Dr. Thal is active in several national orthopaedic sports medicine and arthroscopy organizations. He is currently a member of the Communications and Technology Committee for the Arthroscopy Association of North America (AANA) where he is leading an initiative to promote orthopaedic innovation. He has previously served on the Health Policy Committee, Communications Committee, and Learning Center Committee for this organization. From 2010 to 2012, Dr. Thal served as one of only two Virginia representatives to the Council of Delegates to the American Orthopaedic Society for Sports Medicine (AOSSM). He has served on the Clinical Committee on Sports Medicine for the American Academy of Orthopaedic Surgeons (AAOS). Additionally, Dr. Thal is a member of the International Society of Arthroscopy, Knee Surgery and Orthopaedic Sports Medicine (ISAKOS). He has been voted a "Top Doctor" by Washingtonian Magazine consistently since 2005. In addition to his extensive medical commitments, he enjoys numerous sports, including tennis, skiing, cycling, and golf.